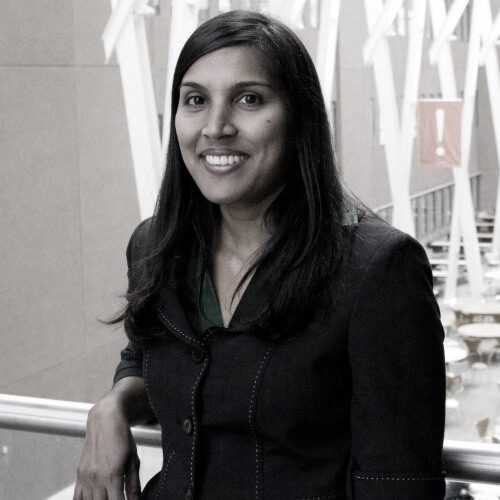 Dr. Shalina Ousman is an Associate Professor in the Departments of Clinical Neurosciences and, Cell Biology & Anatomy at the Hotchkiss Brain Institute, University of Calgary. Dr. Ousman completed her PhD in Neurosciences in 2001 with Dr. Samuel David at McGill University. She then completed two postdoctoral fellowships, the first with Dr. Iain Campbell in the Department of Neuropharmacology at The Scripps Research Institute (2001-2004) and the second with Dr. Lawrence Steinman in the Department of Neurology and Neurological Sciences at Stanford University (2007-2008). She joined the Hotchkiss Brain Institute as an Assistant Professor in 2008. Dr. Ousman is interested in identifying endogenous protective mechanisms in multiple sclerosis and peripheral nerve regeneration. Her research is funded by the Canadian Institute of Health Research and the Multiple Sclerosis Society of Canada.